Yesterday we talked about the opportunity for combining search engine optimization, social media and digital public relations. Today’s entry will discuss how to start going about it. “Fuzzy”. That’s how I would describe most companies’ thinking on social media, SEO and PR. How can marketers and companies start incorporating the new rules of the social web into a digital PR effort? The answer to that question starts with understanding the social web and the technology that connects audiences. Forrester often refers to this social connectivity as “social computing”. The socialized web provides media relations practitioners and search marketers with an array of tools to make it easier for journalists and the media to cover their clients’ news, promote content and attract links. They key is knowing which tools are most appropriate and effective and which are simply “shiny new objects”. Start with the fundamentals. RSS content distribution, blogs, social networks and microblogging (Twitter) for example, provide excellent channels for social message and news distribution. Establishing each channel as part of an organization’s news platform is a good first step in a digital PR program. Transparency is important, so such efforts should be branded appropriately and involves social media savvy staff that participate, not just push and pitch. Speaking of push – From a Push PR perspective, social distribution of news provides opt-in networks the opportunity for updates on their terms and can also provide content for search engines. Making information available in different formats makes it easier for Journalists and bloggers to monitor information sources according to their preferences. A 2007 study by Bulldog Reporter/TEKgroup International reports 64% of journalists research stories through Google News and Yahoo News. 70% read at least one blog regularly and 44% visit a social media site at least monthly. Optimizing content for visibility in these channels increases the opportunity for the media to pull themselves to news content and when that information is used for a story, it can be just as beneficial for a client as the outcome of a media pitch. From a SEO perspective, links from articles on authoritative publications and blogs can deliver twofold value: traffic and a positive influence on search engine visibility. What’s social about a news release? Another example of using technology to help improve PR/journalist communications is the social media news release. The premise of the SMNR is that traditional press release formats do not meet the needs of today’s journalists. In a fast moving world of short attention spans, micro content and the tendency to socialize information, the SMNR deconstructs the traditional news release format into essential information such as quotes, bullets and media elements. Links to share, bookmark and comment on the release are also often included. While the SMNR has yet to be accepted as a standard format by all of the major wire services, it has been adopted as an option by some and has gained popularity in tech savvy sectors and with bloggers. Get in the media with media – Individual components of what make up the social media news release can be leveraged independently. For example, pitching and blogger relations that involve audio and video can be particularly productive. When reaching out to a particular publication or journalist, including links to a short podcast , video interview or demo can provide more engaging information about the news being promoted as well as sound bites. A link to a keyword optimized press release is included as well for those not tuned in to a multimedia experience. And now the pull. Hosting audio and video media using blog software in the form of an online media room allows those digital assets to be repurposed and optimized for search. Employing keyword optimization with news content can improve discovery on its own via traditional search as well as through specialized search channels such as blog, video, audio and social media. Employing a digital asset optimization effort with news content ensures each media type is keyword mapped and promoted on relevant channels. Low tech is still important, if it’s social. Despite the digital and new media flavor of these Digital PR posts, some of the most effective online PR tactics are not necessarily about Web 2.0. Email and smile ‘n dial pitching as we know it may be on the way out for many of the social media PR evangelists, but journalists will always benefit from reputable story ideas and/or sources relevant to their publication’s readership. Sometimes it’s a matter of doing what it takes (reasonably and in a relevant way) to get attention. There is no substitute for voice and personal contact. Combined with an adept understanding of keyword optimized content and the social web makes low tech tactics even more effective with a Push/Pull PR strategy. This is not the end – Beginning a digital PR program that’s optimized for search and social media means a real effort towards understanding the social web, SEO and the technologies that make them work. It also means listening, participating and not completely foregoing some traditional tactics. In the end, engaging the social web can only facilitate what’s been important for the media since day one: Find reliable sources and interesting story ideas that help the publication serve their readership and advertisers. The last post in this 3 part series on Digital PR and SEO will drill deeper into blogger relations and social media monitoring. The Point of Connection is coming. 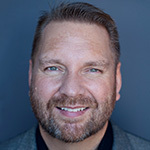 Sign up for a pre-conference workshop presented by TopRank’s CEO Lee Odden on “Optimizing Content for Optimum Results: Search Engine Optimization for News Content” during PRSA International event October 25th (1-5pm). Thank god you ended the post with ‘this is not the end.’ Too often I see clients and customers stop using the tools and techniques we have set out for them. Social media and PR take patience,time, and work. Good stuff.. look froward to reading the rest. going to have to go back and read the 1st one again..
Glad you liked it. I suppose I should really be spending the time I’m taking to write a series of posts on a book outline. There’s really so much to cover on the topic. Trouble is, a book (at least in print) on this topic would become outdated by the time the ink dried. I liked this Lee. Any tips for getting people to realize the power of putting content into a blog format? I get *so much* pushback from that, I started calling it a publishing platform and they listen a little more. The problem is so many people still think ‘blog’ is something a 14 year old publishes to MySpace. Then you show them links to legit sites that are great resources published intelligently with huge audiences and they STILL don’t get it. Maybe you just can’t convince some people…I really don’t like trying to ‘force’ some people to adopt things when you put in all the work, get results and they still don’t understand it. It’s unreal. I like the combination of PR and SEO. A website is a part in a communcation strategy of a company and thats the reason why a website optimization is part in a communication strategy,too. What do you think about submitting press releases to the media through certain online channels like prwebdirect.com compared to more of the social approach? Shawn, I think wire services continue to offer value for press release distribution whether it’s PRWeb, Business Newswire, PRNewswire etc. Approaching it socially is also effective depending on the audience. Lee, as an promoter of what you do and the insights you give away for free, this is very solid info. I am worried that traditional PR practices are still being taught in colleges and universities. When they graduate they do not have the ability to help transform or influence the status-quo at the agency that hired them. Do you see that changing in the near term? Hey Mario, it HAS to change or the agency will feel the bite of reduced revenue from clients who have become more savvy and need more than the status quo. This is certainly not the end. This is a solid blog. I understand why it’s number 1.